Not all of them have to be super scary either. There are plenty of funny pumpkin carving ideas, too! I hope you enjoy checking out some different ways to decorate your pumpkins, whether it be through carving, painting, or bedazzling them! Have fun! Of course, there is always the timeless tradition of carving pumpkins. There are so many different pumpkin carving ideas that it may be hard to know where to start. It might be a little messy, but once the final product is done and there is a candle inside of there and the light comes twinkling through your carving, it makes it oh so worth it! 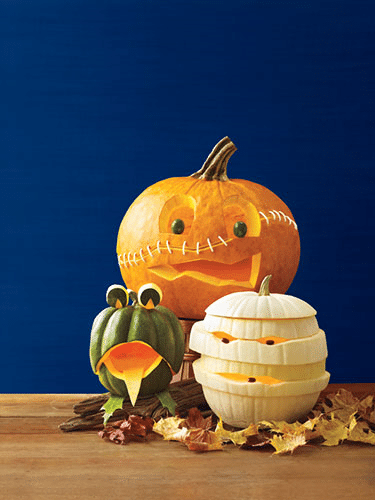 Here are some ideas for carved pumpkins! So I’ve seen these types of cool pumpkin carving ideas for a couple years now and have never done it myself. This year I’m going to change that! I think it sounds pretty fun to get different sized drill bits and make patterns in the pumpkins instead of doing a traditional carve! This idea was found at CraftyNest.com and I can’t wait to see if I can pull it off! 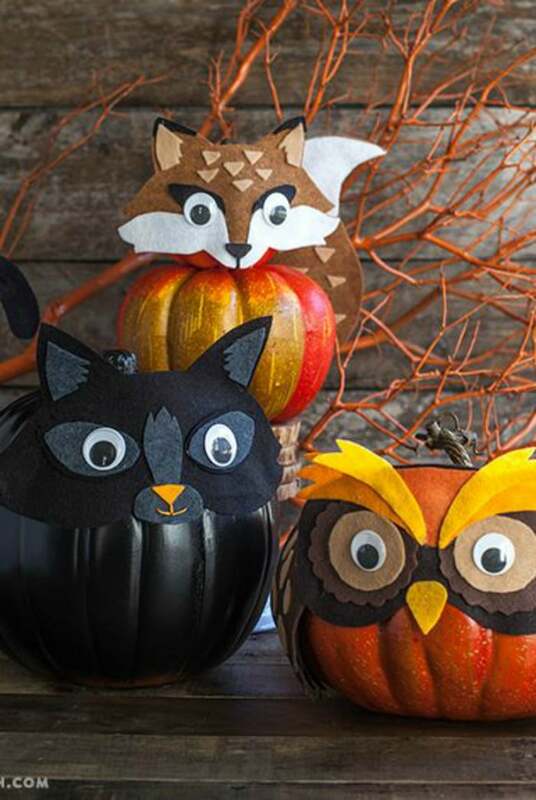 Need some carving ideas and just don’t know how to make them happen on your own? Check out these scary pumpkin carvings templates at DIYNetwork.com and get a ton of different ideas to take the stress out of exactly HOW to carve that pumpkin of yours! Talk about unique and totally AWESOME carving ideas! 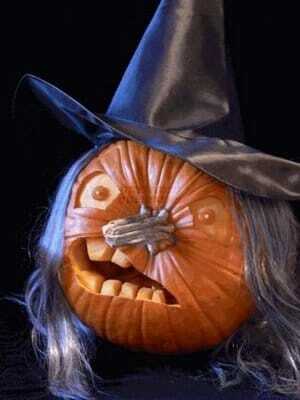 Funny pumpkin carving can give everyone the giggles when they come tick or treating! Check out this awesome mummy carving in the picture above. I love it! Find these ideas over at WomansDay.com and you’re sure to impress the little goblins this Halloween! 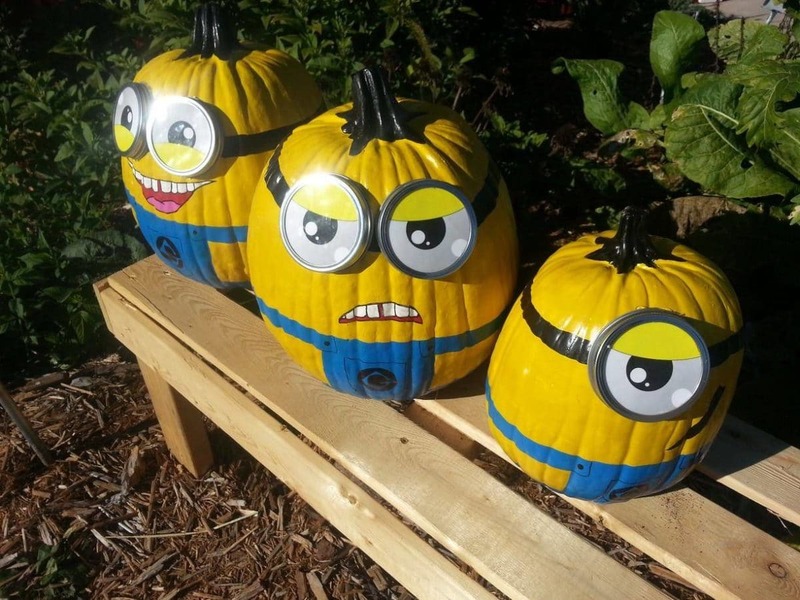 So these are quite the cool pumpkin carving ideas! 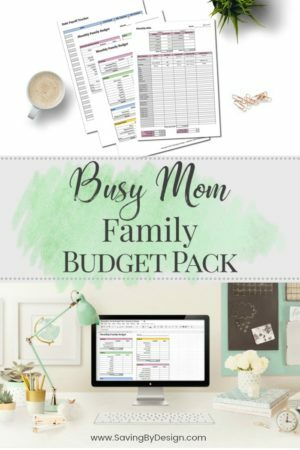 Check out the ideas over at BHG.com. I love that the carving piece isn’t too overpowering and the fun and decorative “extras” really add to the look! Fun! Such scary pumpkins! 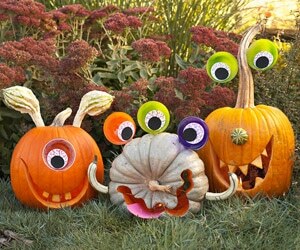 Looking for an easy way to carve the pumpkins, but still make everyone smile when they see them? Then you’ll want to go look at this easy pumpkin carving idea over at AllYou.com. 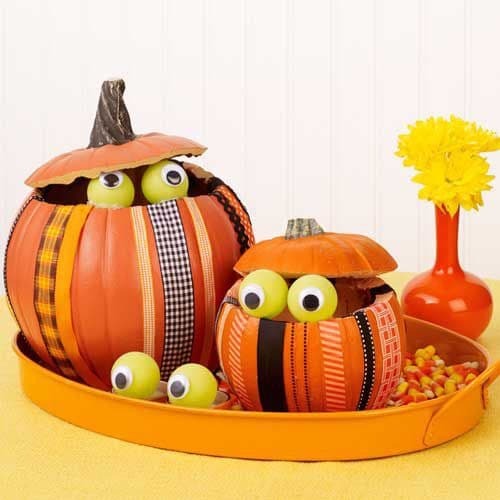 These Peeking Pumpkins are super cute and by just carving off the top, adding some washy tape, and some tennis balls as eyes, you created a super cute and easy look! Whoa! Check out this scary witch! I did a similar pumpkin carving last year and it turned out great and was a big hit for all of our little spooktacular guests over Halloween! You’ll find more on this over at OneGoodThingByJillee.com. 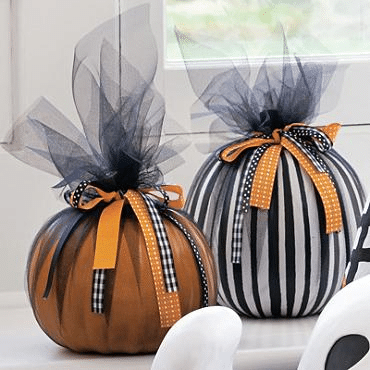 Some pumpkin decorating ideas that my kiddos especially love is to paint the pumpkins! There might be a different kind of mess to clean up with the paint, but at least I don’t have to worry about knives and carving through thick pumpkins that the kids just can’t handle yet. It’s fall! Which also means it’s football season! 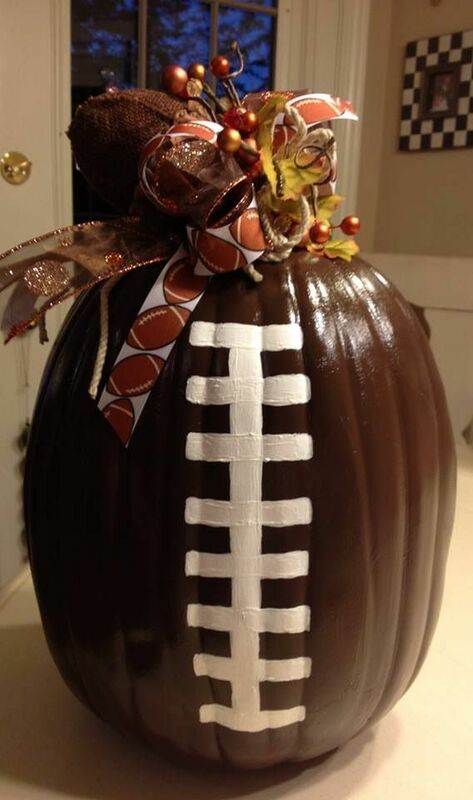 Show your pride by painting one of your pumpkins as a fun football and you could even dress up the top of the pumpkin with your favorite football team’s colors! I’m SO doing this and I know the football lovers in my house will LOVE this one! Check this out over at Pinterest.com. This great DIY Painted Baseball Pumpkin is the perfect addition for the little sports nut in your family! Fun pumpkin painting is always a hit and it’s a great way to add in a little painting fun after some easy carving. 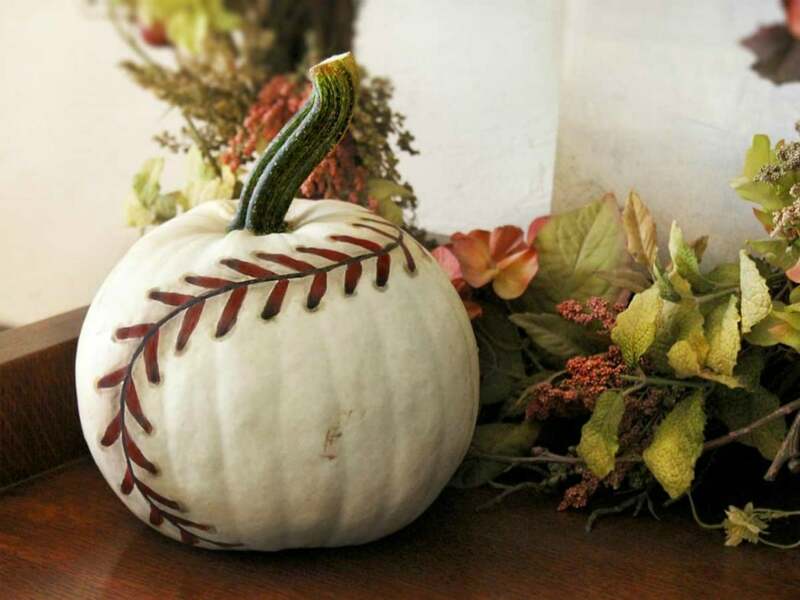 We love how authentic this baseball Halloween pumpkin looks! Just in time for the World Series! So I have some big time Minion lovers in my house, and when I saw this idea over at OccasionallyCrafty.com, I knew it would have to make it’s way on my list! These are just the cutest for kids! Looking for an easier project that the little ones can help you with? 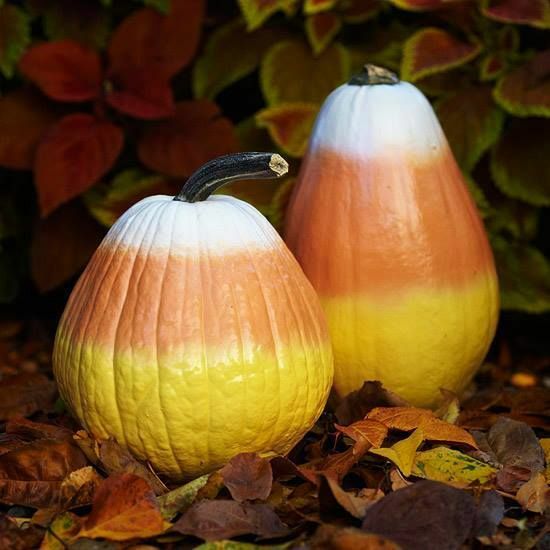 Look no further than this great idea over at Pinterest.com that only uses two colors to replicate some candy corn. I can definitely handle this one! OK, now I know some people in my house who are going to DIE over this idea that I found over at Club.ChicaCircle.com… Glow in the Dark Puffy Paint!!! Oh. My. Gosh. 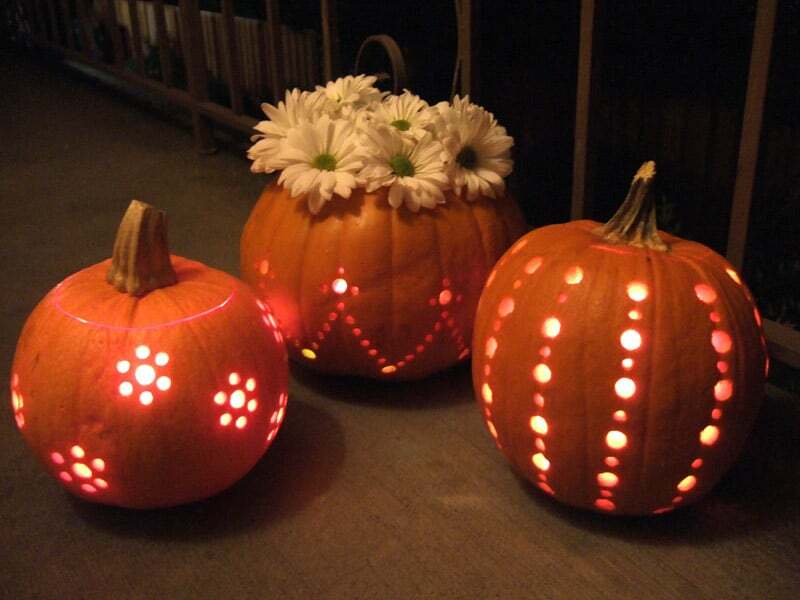 Do any idea you want on your pumpkin and enjoy watching it glow in the dark at night! The littles are going to love this one! It takes pumpkin decorating to a totally new level! 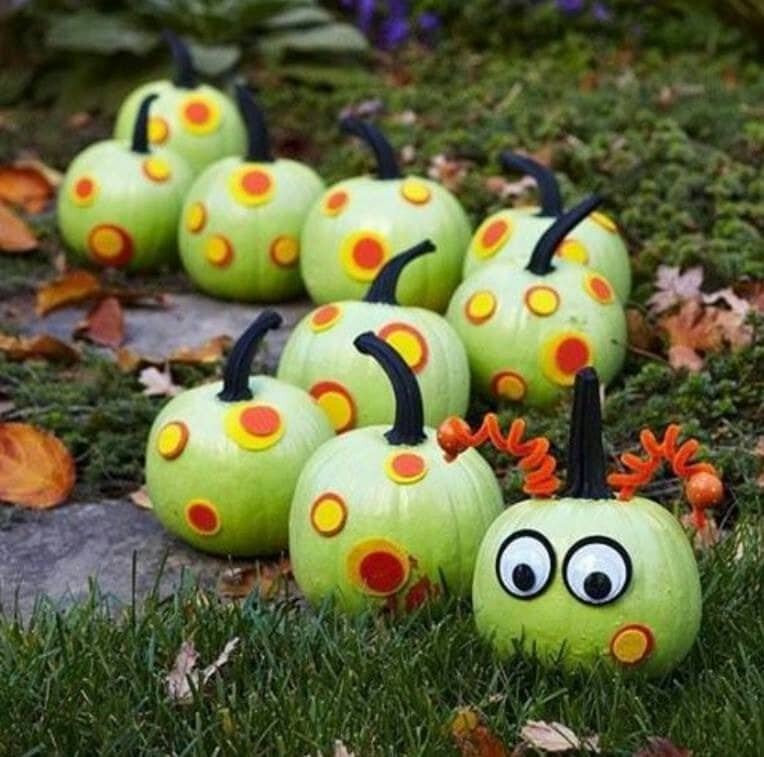 The tried and true caterpillar pumpkins found over at Pinterest.com are such a fun idea and so easy! The picture above uses little felt patches to make the “spots”, but my family has done this before and we simply painted the spots on. And you can make it any color you want! Such easy painted pumpkins for the family to make! 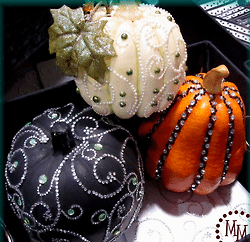 Finally, let’s look at my favorite.. BEDAZZLED pumpkins! Oh, how I love to sparkle them up and create unique looks with ribbons and bows and jewels to stick on the pumpkins. So creative! I love decking out the pumpkins with unique looks and it’s fun for the kids to create their own unique pumpkin! 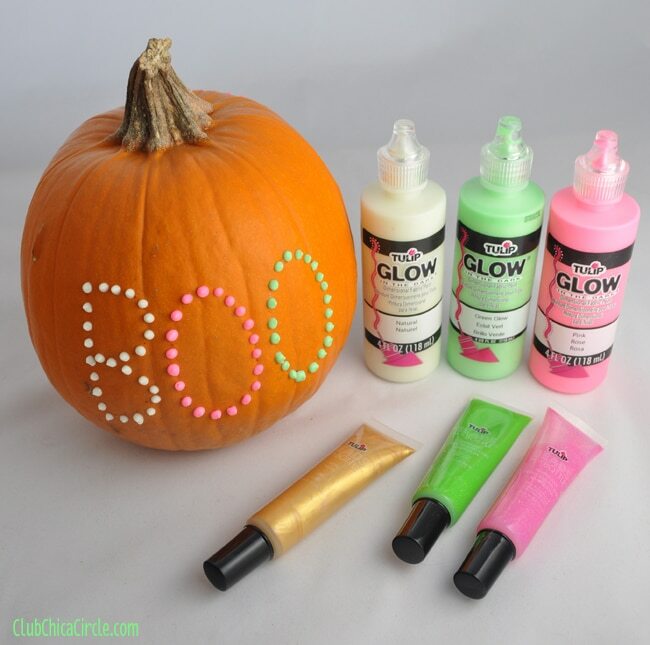 Check out these fun pumpkin decorating ideas that I’m definitely going to do this year! Bedazzled! This idea just gets me totally excited and is a bit of everything! After painting the pumpkin, it’s time to go to town and pretty this pumpkin up with fun sticky jewels! And everyone has to have a witch’s hat around from one thing or another. 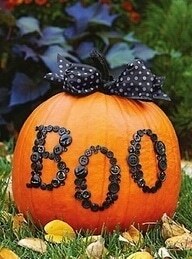 It’s a great pumpkin decorating idea found over at Pinterest.com that won’t break the bank! Even better? Use buttons! Same colors, different colors, spell out anything you want! Another great idea found over at Pinterest.com. Cute, unique and easy! A Flower Pot Pumpkin is a great way to add pumpkin decorations around your house and add some color and flowers in, as well! 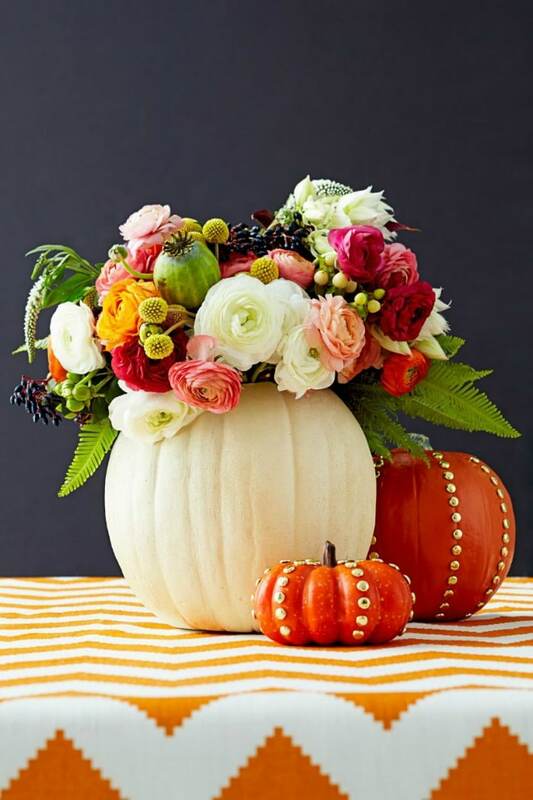 Add in some popular fall mums or any combination of flowers, with a vase being hidden by the pumpkin, itself. Perfect! Now these are pretty darn fancy, but for all of us creative types, doesn’t this just look like a ton of fun?!?! Check it out over at WeHeartIt.com and see what you can come up with. Copy these designs and make it easy for yourself, but what a great idea! Looking for unique pumpkin decorating ideas? Felt Animal Pumpkins, like you see above, are a fun way to use pumpkin stencils and have the little ones help you out! Carving can be hard for little hands, but these no carve ideas are just as great as anything else! Not going to be home this year for trick or treating? Check out this fun idea over at CreatingReallyAwesomeFreeThings.com. 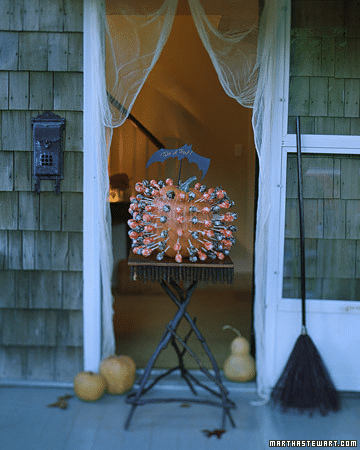 OK… you’ll have to hope someone doesn’t take all of the suckers off the pumpkin, but this is even a great idea if you’ll be throwing a Halloween party this year! Teachers? Try this for your classrooms! Talk about an easy, yet fun way to decorate your pumpkin! This may be the easiest Halloween pumpkin idea, yet! 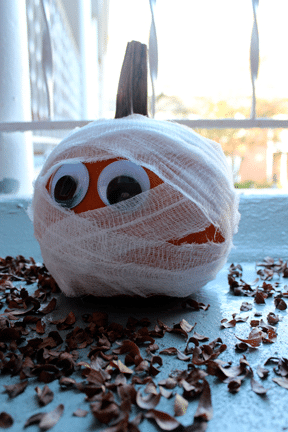 Create a mummy with some gauze, and some googly eyes, and you’re set! CoolMomPics.com gave us the inspiration for this fun guy and it’s a great one to create with the little ones! 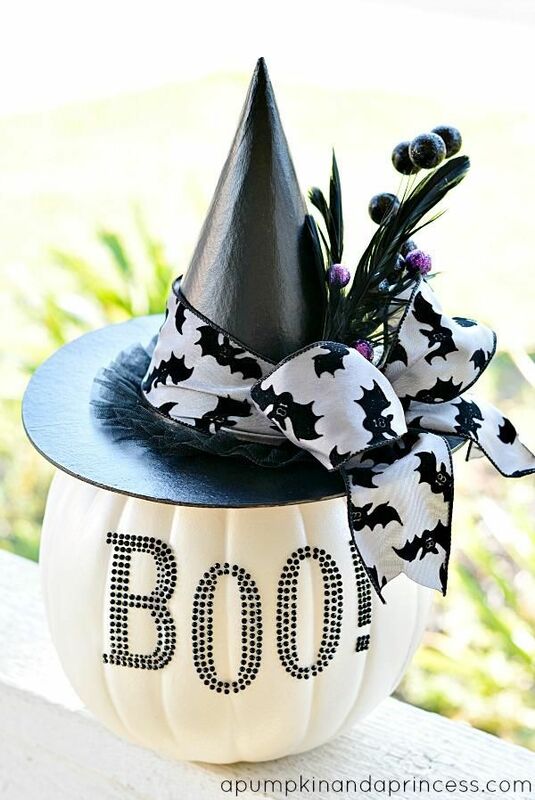 Technically, the inspiration for this, which was found at GrandInRoad.com is for a Pumpkin Decorating Kit, but this would be a great one to stock up on craft deals and do it yourself! I love the ideas this gave me and will for sure pull out some surplus supplies to create fun pumpkin decorations like this one! And there you have it. Man… I could just keep going and going with all of the wonderful pumpkin decorating ideas I found and the ones I can’t wait to try myself! I’m sure this will keep you busy and all of these wonderful pumpkin carving ideas can be done on a budget if you start planning now and peeking through the dollar bins at your favorite stores, or even heading on over to the dollar store for some bedazzled items and paint. I love Halloween! 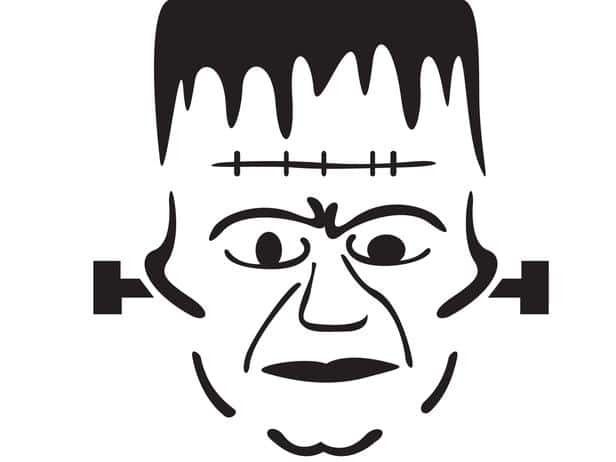 But hold up… That’s not the only way to have some Halloween fun this year! Just look at these amazing decorations below! 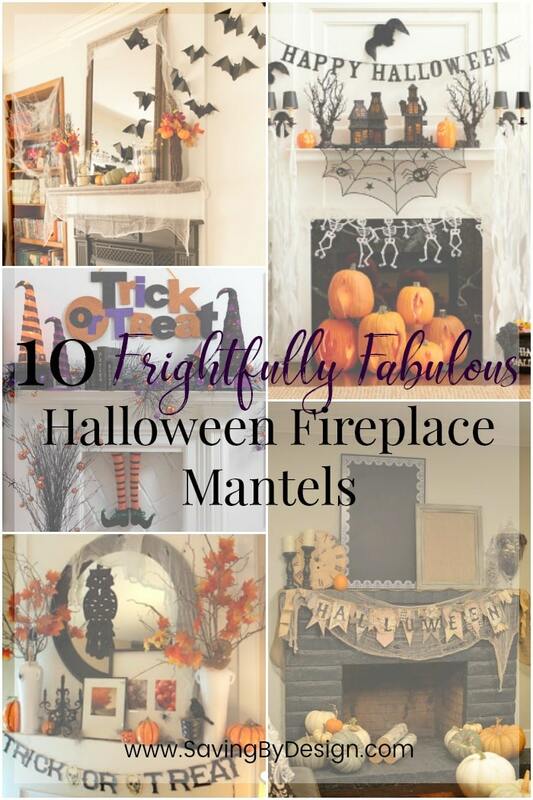 Your brand new pumpkin decorating ideas will be a great way to get started with some Frightfully Fun Halloween Fireplace Mantle inspiration! Even if you don’t decorate them up as amazing as some of the ideas above, it will still be awesome to use them as a centerpiece for a new mantle idea! 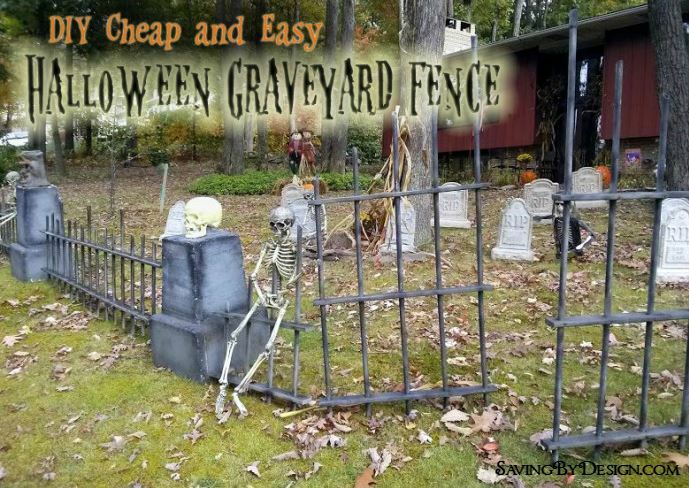 Your neighbors will absolutely die when they see this amazing Halloween Graveyard that you’re going to create! It may look really intimidating, but believe me. If I can do this, anyone can do this! It will be the highlight of the year around your house and will make trick-or-treating unforgettable for the neighborhood crew! 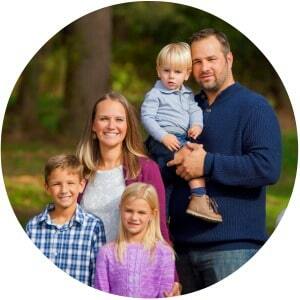 « The Ultimate Healthy Living Bundle – COMING SOON! Love the minions and the caterpillar.